5 and a half months on the South Island, and I was done. 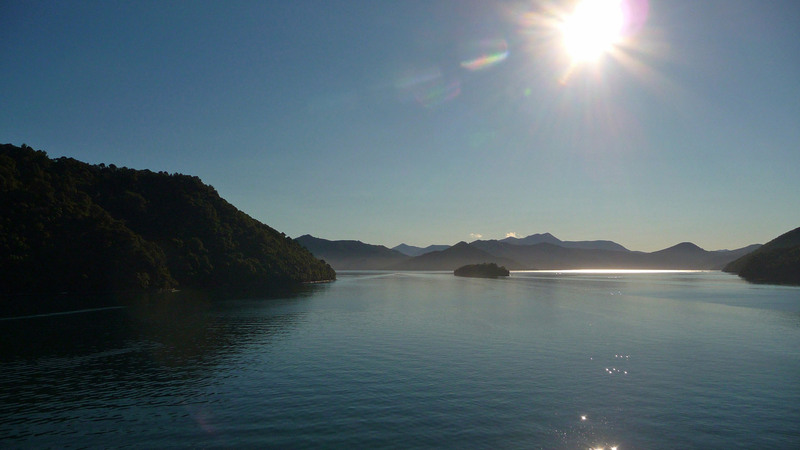 I departed from Picton on the Interislander ferry and enjoyed a much more pleasant day than when I crossed the Cook Strait last. 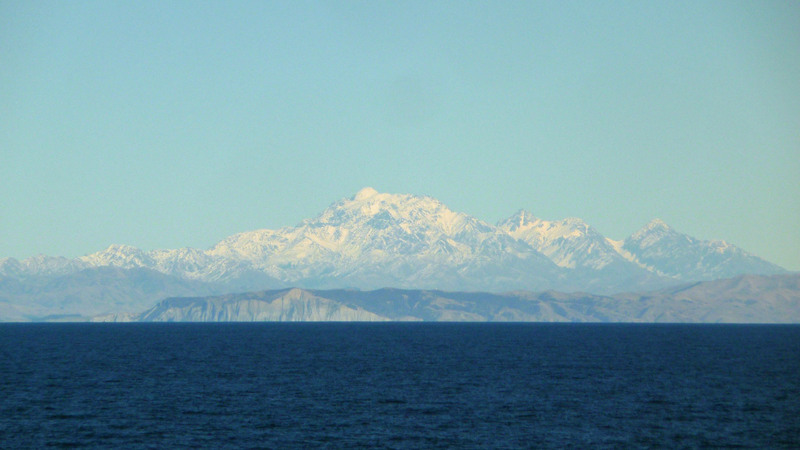 Halfway between the North and South Islands, I got a great view of the now-snowy Kaikoura ranges. The same storm that dumped a good amount of rain on me in Golden Bay settled many centimeters of snow on the higher peaks of the East Coast. Last time I was in Wellington, it was rainy, windy and pretty miserable to be outdoors. Which made going to the Te Papa Museum of New Zealand an extra treat – it wasn’t like I was missing out on great weather by spending a day there. This time though, I did get some blue skies, so I hiked to the top of Mt. Victoria. This is looking out towards the airport, one of the most notoriously difficult to land in the world due to the nutty crosswinds present. And the other direction, towards the downtown core. 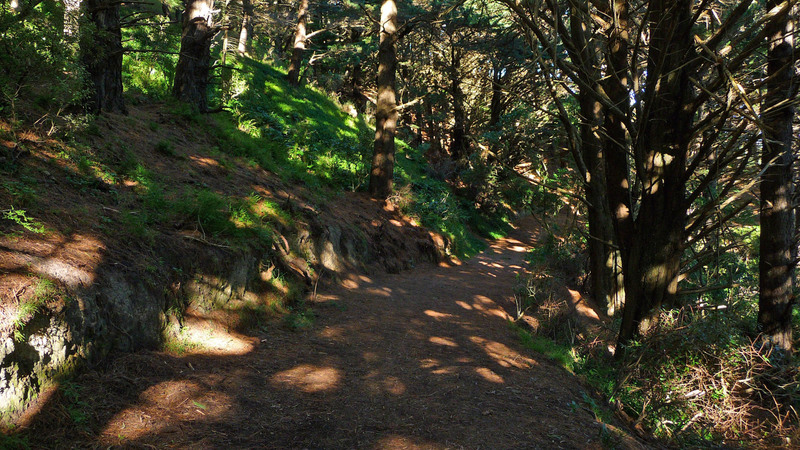 On my way down, I took a path called the ‘Hobbit Hideaway’. It was here that a few scenes for Lord of the Rings was filmed. Somewhere here at least. I really need to re-watch the movies before I leave this country! And shortly after returning to the downtown, the weather I have come to associate with Wellington returned – rain, wind and biting cold. So it was back to the Te Papa for more learnings. It does make it hard to enjoy a city when the weather keeps turning sour! 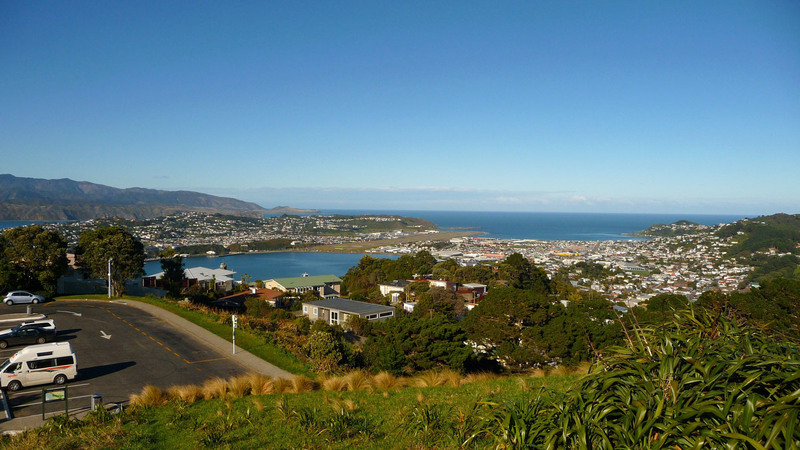 This entry was posted in New Zealand, Travel, Wellington Region by Colin. Bookmark the permalink.